Over the past few weeks I’ve been having a major de-clutter. And I mean MAJOR. No area of my house or life has been safe from the bin bags or delete button. I’ve gone through my wardrobe, the kitchen cupboards, my paperwork, CD’s and even the dog’s stuff (I know, I know – the dog actually has enough stuff to need some de-cluttering – bad Heena!). I’ve even de-cluttered my finances, cancelling all those direct debits for stuff I don’t use or need. But there has been one area I haven’t even attempted to tackle. It also happens to be the most visible. And the longer I leave it, the worse it gets. My garden. Or as my neighbours might have phrased it – the Weed Wonderland. It’s been so bad that it’s gotten to the point where the pooch can only patrol the perimeters. The rest is a no-go zone for canines and humans. It’s probably a haven for creepy crawlies though! And every day I see this mess. Every day it plays on my mind. The garden clutter is also adding unnecessary mind-clutter. So this morning I finally unearthed my gardening gloves, black bags and ‘Just ‘Effin Do-It’ attitude. I won’t pretend it was a fun task. My head space was mostly…”grumble, grumble, grumble – eeeek! Creepy Crawly…grumble, grumble”. At one point I decided I’d only spend an hour out there. But at the end of that hour I saw that there was a clearing, and gave myself another hour. By the end of that hour I decided I was almost there so I may as well stay and finish the job. I am proud to say that three and a half hours and an aching back later, I am now the owner of a mainly weed free garden. When I finally stopped for a much-needed tea and looked out, the main thought I had was “Aaaaaahhhhhhh lovely.” That’s it. Just “Aaaahhhh”. The head clutter had been clearing itself out with every weed I picked out. The analogy is pretty obvious I know, but it’s true. If you clear your surroundings, there’s just less stuff for your brain to process. So it has time to process the important stuff that’s going to move you forward. 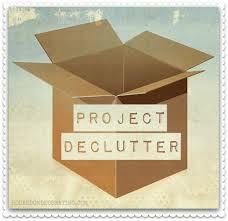 Take a quick look at your surroundings and work out where your clutter is. Become a de-clutter diva (or de-clutter dude) — you’ll thank yourself later! It was in all the newspapers this week – Sir Richard Branson has announced that the 170 people on his private staff in the UK & US can take as much holiday leave as they want and for as long as they want. It sounds too good to be true, doesn’t it? And yet, aren’t we all secretly tempted to check whether there are any vacancies we can apply for and get in on some of that action? He’s picked the idea up from Netflix, who already have this ‘non-policy’ in place and says it will increase productivity. It’s a big bold move and has of course brought out all the naysayers who think the whole thing is nuts. After all, they say, employees will either take advantage and be away for months or be too scared to take any extra time. You can’t trust people. First of all, I think it’s a genius idea. Hats off to Netflix and to Sir Branson. We already live in an age where employees are routinely working over and above their 9-5 Monday to Friday hours. We are expected to be online or at the end of a phone at any time of day or night within reason (and sometimes very much outside of reason!). If employers expect us to be so flexible with time that we shouldn’t be in the office, it seems fair that some enlightened employers are now trying to balance that by being flexible about the times we should be in the office too. Why should working hours be so advanced and holiday hours so rigidly draconian. If employers have recruited wisely in the first place, firms will have conscientious employees who are more than happy to trade their time flexibly. Of course, the caveat for taking the time off is that all your work has to be up to date and your time off won’t detrimentally affect the firm. I know plenty of people who already work diligently all the time, and that’s with minimum holiday leave. So it seems only fair, and pretty cool that having worked your nuts off over month-end for example, you might take a couple of days away when things are quiet. 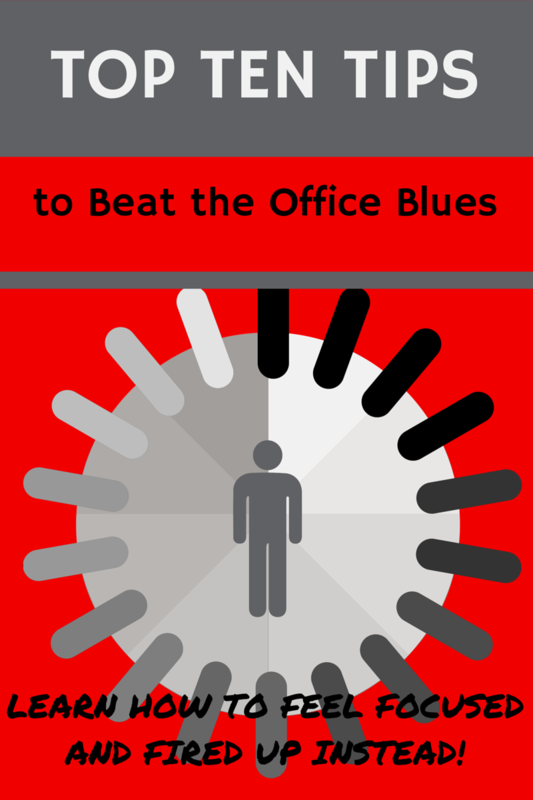 It gives employees much-needed rest and recuperation time away from the office, and it gives employers motivated conscientious staff that they can rely on when things get hectic. 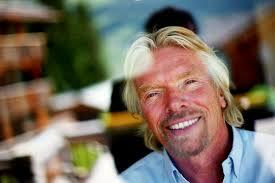 And yes, I agree with Mr Branson that it would lead to increased productivity and also to better employee retention. Although it obviously won’t work for every company everywhere, I really hope those employers that can accommodate it, do. Happy holidays! This makes me a little bit sad. Have we really got to the stage in our national working lives where employers need to be given a reminder like this, to encourage them to allow their employees to go home on time? I’ve worked in an array of office environments, (as well as factories and shops as a student). Over the years it does seem as though our working days are getting longer and longer. Even when we’re not at work, technology allows our employers to contact us in the car, at home and even on holiday. We are never, ever, out of the office – especially if we’re bringing the office home with us on our phones or laptops. I’ve been out on a Saturday evening with friends, enjoying some wine and wind down time and someone’s phone has gone off – something urgent has come up at work that needs an email now. I’ve had texts myself whilst on holiday “really sorry to disturb you Heena, but could you just do X/tell us Y/forward Z”. If we’re so contactable when we’re not actually at our desks, what is stopping us from at least leaving on time, and enjoying a few hours with our partners, families, pets, to meditate, whatever, before we check our work emails at home? I think (from what I see anyway) it’s almost become a badge of honour – who stays latest and longest wins! I sometimes wonder what people are doing if they have to be at their desks for so many hours – are they faffing, dawdling, struggling or overloaded? In each case, staying longer hours isn’t the answer. But we’re measured on the time we put in, sometimes over and above the quality of that input. Is that right? Not in my book. I’ve never wanted to win the ‘Longest Working Hours’ game. In fact, I can say that I love losing that particular game. I’d much rather have an effective eight hours at work, go home on time and then come back refreshed and ready the next day. I’ve been in the minority at most offices I’ve worked at, sadly but unsurprisingly. Not necessarily because people love being in the office, but I think because even those that want to go home on time feel like they’re being judged, so they stay behind in case leaving on time means they get left behind at work. So let’s do something about it. Let’s start changing this crazy notion – we can do it, one person and one day at a time, if we all decide to. Let’s make it a badge of honour to be able to leave on time. It may not be easy but it will definitely be worth it. Let’s be the change we want to see, as Mahatma Gandhi famously said. Let’s make the tide turn our way! In the aftermath of the whole ‘quitting the horroffice job with the horrible boss’ thing a couple of weeks ago, I’ve been replaying the whole thing. As you do when you’re sitting at home contemplating which daytime TV programme will be the most entertaining and simultaneously least depressing. And I think there’s a lesson to be learnt from the experience (the Horroffice one not the daytime TV one). I remember three distinct stages to my learning curve. The initial job spec that my agency sent over. I was less than enthused when I read it. To be fair, there hasn’t been a job spec I’ve ever jumped for joy over. Because none of them have ever said “Job Title – Being Happy. Boss – Me, myself and I. Pay – Whatever you need to do stuff that makes you happy.” I’m working on creating that job for myself. Anyway, I digress. So the job spec was full of the worst bits of number-crunching and none of the stuff that I quite like. The company wasn’t particularly exciting either. So my gut feel was to say no. But I’d been out of a contract for almost five months and funds were running low. I agreed to be put forward for the role. The interview. When I turned up for the interview, I felt like I’d travelled back in time. It was the most depressing office I’d been to – my initial impression was a cross between a seventies sweat shop and a 19th century gaol. Bars across the windows (seriously! ), nasty teak effect desks and squeaky chairs, sludge coloured walls and sticky carpets with swirl effects. The people there looked pale, everyone was silent and there was a palpable air of misery. The interview itself went fine, but I felt like I was interviewing my boss rather than the other way around. And nothing in that forty-minutes made me hope I’d got the job. My gut feel was that I never wanted to be back here again. The first day. I got the offer, and because I was scared of running out of funds I took the job. On the first day there I wanted to leg it. My impression from the interview was confirmed. There was a lock on the ladies loo. A lock! Why did the ladies loo need a lock? That’s just one example of the kind of stuff that terrified the crap out of me. At the end of the day one of the girls there asked me, half-jokingly, half-seriously whether I was going to come back tomorrow. I wanted to tell her it was debatable. My gut was telling me to get outta there. I didn’t. I kept going back. Until the evening of the Horrible boss and ‘that conversation’ (read about it here – http://www.heenapattni.com/just-say/). Here’s the lesson I’m choosing to take from it. Trust your gut. Always. It’s never wrong. It wasn’t wrong for me when I read the job spec. It wasn’t wrong at the interview. It wasn’t wrong on the first day. And it wasn’t wrong when I finally listened and quit. It’s not wrong now when it’s saying “stay calm, Heena. You’ll be ok. The right thing is coming. I’ll give you a heads up when it’s here. Chill”. That doesn’t mean I haven’t gotten something useful from that experience and time – it’s given me some great material for this blog, for which I’m very grateful. And it’s got me listening to and trusting my gut instinct again. If you’re ever unsure of your next step, here’s my advice, for what its worth. Stop. Take a minute. Breathe. And then go with your gut. If you haven’t heard the term ‘Mindfulness’ in the last few months, you’re probably in a small minority. It’s the new ‘thing’ everyone is into (and admittedly it’s preferable to the whole twerking ‘thing’ that was driving even normally sane people to mad body jerking spasms) – it’s so ‘in’ that there are now books and classes and even mindfulness themed corporate play days! But what is mindfulness. 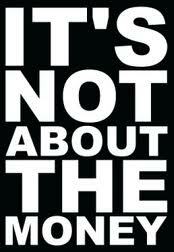 I could be really corny and annoying and just tell you “It’s the opposite of mindlessness, actually.” Well, duh! Of course it is. But it’s kind of… well, exactly that. Think about it this way – how many times have you been driving along a familiar route, and suddenly realised you’ve got to your destination but you don’t actually remember how you did, because you were miles away mentally. You’d been thinking about other things and then, lo and behold, you’d arrived. Well, that’s mindlessness. Mindfulness is the literal opposite. You focus on the here and now, on the details of the road, the steering wheel, the feel of the brake pedal, the other cars on the road…you get it. Now apply that logic to our lives as a whole – how much of it are you living without noticing you’re living it? How much time do you spend worrying about things that never actually happen, or ignoring things going on in your home, your body, your family? The idea of Mindfulness is that you give your busy, wandering, stressed, higgledy-piggledy mind a bit of a break by just focussing on the here and now. You notice what you’re thinking, you notice the thoughts going on but you do it in a more calm and detached way, and you also learn how to focus your thoughts in a more useful way. Mindfulness won’t necessarily change what’s going on in your life, but it can help change the way you see, feel and react to what’s going on. That change of focus could change your actions. if your actions change, your life changes a little bit, and for the positive. Again…you get the gist. And there have been loads of studies showing how Mindfulness can help – I could bore you to tears and list some here, but I won’t. Just Google Mindfulness and check out the plethora of great stats and awesome stuff out there. So how do you start? You don’t need incense, candles, loose white robes or any of that gear (unless you’re into it, in which case, feel free to go full on with the mystic magic). What you do need is a little bit of space where you can relax quietly, without interruption for a few minutes. Don’t worry about being able to do hours on end (who has that kind of time?!). Just start with three minutes (or five if you feel daring!). Sitting comfortably? Good, then we’ll begin. Just focus on your breath – how it travels in to your body, through your body and out. 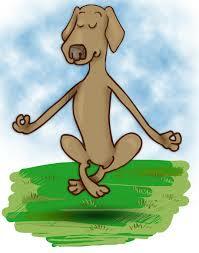 Then focus on the out breath. Focus on what’s going on with your body, where you hands are, how they feel resting against your lap, or how your feet feel against the floor. What will probably happen is that you manage this for a few seconds and then your mind starts to wander. That’s cool. Let it. But as soon as you notice it’s roaming, notice what you’re thinking about and then mentally let it go (a bit like cutting the strings of a balloon that’s floating away) and gently pull yourself back into focussing on your breath again. And that’s pretty much it. Ta daaa! Just work on being able to lengthen the time you’re focussing on the here and now and shortening the time your mind goes on a ramble. Once you’ve cracked it, you can apply the technique any time you feel stressed, and as much as possible during your day. Rather than fretting about the past or stressing about the future, it’ll help you enjoy being in the ‘now’. So. Switch off the auto-pilot and enjoy the ride! Since I made the decision last week to quit my most recent contracting, and shared that with you lovely people, I’ve heard lots of other horror stories about terrible bosses. I’ve heard of bosses who won’t let an employee duck out of the sales floor for two minutes to take some headache tablets, I’ve heard about the boss who has promised someone a promotion for three years on the trot but then promoted someone else within the team, causing all sorts of issues, I’ve heard about the boss who is a ‘lovely bloke’ but spineless and would sell his team out in a heartbeat to avoid copping the heat himself. It’s slightly terrifying and it just confirms for me why office life can be so draining. I’ve also heard about the great bosses out there – the ones who take time to train someone, who invest in coaching, who share knowledge, who fight for their staff, who believe in the whole give and take thing. And as I’ve said in previous blogs, I’ve been lucky enough to work with some of these brilliant bosses too. I guess what it boils down to, for me anyway, is that bosses come in all shapes and sizes and flavours and intensities, obviously. 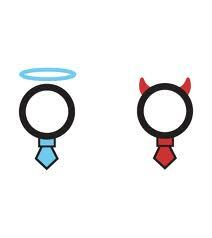 Every single boss out there has a particular mix of good boss bad boss. What I need to do is work out whether I can work with the particular mix on offer. Let’s face it, no-one is perfect, me included! There are undoubtedly things my previous bosses would have wanted me to do differently. And in the same way no boss is all good or all bad (I hope there’s no boss that’s all bad anyway – that really would be a Horroffice!). So it’s up to me to work out what the particular mix is that I’m dealing with, and to find a way to make that work for us both. If I’m lucky, my boss will be doing the same thing and hopefully we’ll come to a decent compromise or the relationship may even develop into a great working partnership. What I’ve learnt from my time in Horroffices is that if there’s a boss (or, as has been the case recently) an entire management team that I can’t relate to, that have morals and values (or dire lack of!) that just clash with mine, then it’s better for everyone’s sanity for us to part ways. I could look on that as a terrible experience, which in some cases it has been. Or maybe I can still choose to see it as a win-win situation, eventually anyway. I win back my sanity and the opportunity to find someone who I can work with, which means I’ll flourish, and they win because they can go and look for an employee who fits their world view a bit better and will give them what they want. And it gives me back control of my destiny, well-being and happiness. Pretty cool, eh?! If you read my post from last week, you’ll know that I quit my most recent contracting role because of some nutty demands from my ex-employers (here’s the link if you want to catch up – http://www.heenapattni.co.uk/just-say/). One we’d both done the deed we decided to go out for a long leisurely lunch. Over some lunchtime vino “J” filled me in on her experiences over the last four months. “J” is an intelligent, capable woman, who has years of PA experience, having handled complex projects for previous employers. In her four months here she had been reduced to stationery monitor, topper-up of teas, coffees and other assorted beverages, and lunchtime sandwich buyer. I was actually sitting there last week when one of the head honchos strolled over with a twenty quid note, flashed it at “J” with details of his lunch order and told her to buy herself a bag of sweets as a treat. Yup – you heard that right. A bag of sweets. And he thought he was being generous. Mind you this is the same man who expected me to drop all attempts at a work-life balance and match his 14 hour days (without matching his six figure salary of course). I had to pinch myself, because for a minute I thought we’d somehow been teleported back to a 1959’s typing pool! As we were discussing the terrible treatment we’d had “J” said something that struck a chord. She reckoned “It’s not about the money, although of course that’s important”. It’s about being valued and respected for your input. I completely agree with her. I’ve stayed in roles before where I haven’t been earning a great deal but where I’ve enjoyed the work and my bosses have acknowledged and appreciated my input. We all want a little recognition when we go above and beyond for our employers. We’re trading our time for their money, true, but we’re also trading our skills, expertise and enthusiasm with that. We give a little bit of ourselves and we want that acknowledged. I think if more employers realised that, and treated their employees accordingly, there might be a lot less handing in of notices and a lot more happy workers. And I’m pretty sure those happy workers would translate into a better run company which would translate into more profit – win-win! I did not expect to be writing this post today. When I started our for work this morning I knew what I had to get through for the day, and I knew what I needed to do to achieve it. And when I got in this morning, after the ritual turning on of the laptop and worshipping of the coffee-maker (why does everyone always seem to wait until I get up to do it?!) I checked in with my manager and then got on with the task in hand. By lunchtime there had been a mini-crisis (there always is – it’s that kind of place) and my tasks had changed. But I re-arranged things and got on with the new task in hand. By home-time I’d made significant progress and was just about to finish off and pack up when the Head of Finance (my manager’s manager in the whole ‘who’s got the flashiest title and most important air about them’ hierarchy thing) asked me to pop into his office for a word or two. Just to give you some ‘flava’, I started about a month ago, and my manager had so far done a bit of a poor job at handing anything over to me. Every time I asked him, he sat with me for fifteen minutes, sometimes even an hour, then something urgent would come up and we’d have to stop. O he’d have done the work at 7.30 am, when I was still at home. Or at 7.30 pm, when I’d got home. Or on Saturday afternoon, when I was at home. You get the picture. He mostly asked me to review his work and learn that way. Not ideal, but other than physically tying him to his chair and forcing him to train me (apparently the first bit is frowned on by the HR gods…) what could I do? I’d already decided that this particular contract and environment weren’t for me – which is a shame in a way because the team I work with are lovely people. But there is a trend here – the company works you hard. Ridiculously hard. And most people leave within six months. My manager’s role has changed hands more than three times in less than two years. With this in mind, I had planned to leave just as soon as I’d lined up another contract. So. There we are. So HoF was asking me how I was getting on, and I was making the usual non-committal responses. Then HoF got to the point. He said he had noticed my boss working long hours. Longer hours than HoF himself. And he had also noticed that I was not working those hours (for the record my boss’s average day is 7.30 am to 9 pm), and I had not volunteered to stay behind so I could learn from my boss before he left. Possibly a valid point, although I kind of feel hand-overs and training should mostly be done in work hours – I’m funny like that! Then he went on to ask me if there were any commitments at home preventing me from staying late. I said, yes, I had commitments at home (A pooch, family, friends, A LIFE – although I didn’t elaborate that for him). And then he said something like (I wish I could remember it verbatim) ‘Well, we all have commitments but we need to find a way around them.’ EXSQUEEEZE ME??? Are you basically telling me you think I need to give up my home life so I can stay here and work myself crazy for you? After a little shell-shocked nodding from me the meeting concluded and I toddled off home. Which brings me to now. Having talked it over with the Fam. we’ve all voted for me to hand my notice in tomorrow. I don’t have another cushy contract lined up. I have no idea what I’ll do or what will come up next but I have to trust in God, The Universe and Fate that there was a reason for this conversation. Maybe that reason was to make sure I don’t get sucked in and slave for far too many hours at the most disorganised finance department in the history of mediocre finance departments. Maybe the reason was that I now have enough material for ‘Coping with the Horroffice’ and it’s time to find a lovely little contract where I can thrive, flourish, deliver value and still leave on time and have a life. 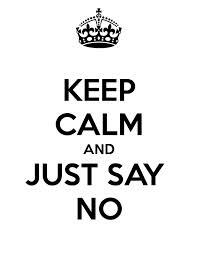 So tomorrow morning I will just say no. No to extra hours for no extra pay. No to being made to feel guilty for leaving on time. No to this culture of working employees into the ground and then moving on to the next one. I’m handing my notice in and I’m moving on – on my terms, in my time and with my dignity and nerves intact! Hoorah! I’m sitting with my boss at his desk and he’s talking me through the month-end process. We’ve missed the deadline set by Group to report our numbers into them. This is partly due to Group not having the reporting pack ready for us, partly due to my boss having to deal with a million other ‘Urgent, Must be Done Yesterday’ tasks, and partly due to the colossal ineptitude of some of the staff we work with causing us problems. So things are going well, NOT. I’ve been here just over a month, and I’m starting to get used to the casual and random swearing I hear in conversations all over the office. I’m not a fan myself – I just don’t like hearing those words and I rarely use them. But today, my boss had what I can only describe as a thunderously loud and severely prolonged swearathon. It was so astounding that the rest of the office actually stopped what they were doing and looked genuinely shocked and awed at the same time. (Group had sent an urgent email, copying in the world, his wife and his mother-in-law, pointing out we were late with our reporting and were holding them up). I honestly thought he might be having a genuine apoplectic seizure for a minute. But he was just letting off steam. A lot of steam. Enough to power a train from John O’Groats to Lands End apparently. I completely get his frustration. I mean seriously – it’s not like until this point we’ve been blissfully unaware of the date or the fact we’re late in delivering and have all been skiving – we’re busting a gut trying to get it all done. But….I don’t like the swearing. In fact, I would go as far as to say I hate the swearing. 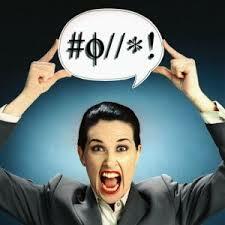 And I know I’ve been spoilt, because most of the office environments I’ve worked in have had very few rude words. I won’t be joining in – I can’t, it’s not part of my natural vocabulary and so it feels weird to me. I guess what I find odd is that it’s the norm here and most people seem to do it without thinking. I don’t know whether it’s normal to want to turn the air blue with your words – we do have air conditioners for that after all. What do you think? Is it normal? Am I just making a big deal out of nothing, am I being Polly Prude? Or do you agree with me – swearing in the workplace is just not cool dude? Here’s something else to ponder in the whole ‘swearing in the workplace’ thing – according to a 2012 Career Builder survey 57% of employers questioned said they’d be less likely to employ someone who used profanity. And 64% of employers would think less of an employee who repeatedly uses profanity. 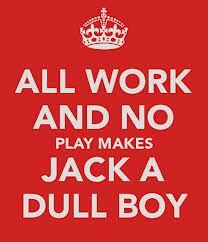 We’ve all heard the saying – ‘All work and no play makes Jack a dull boy’. After a month in my new contract (yup – it has only taken a month for me to realise this may be another Horroffice….yikes) I was definitely feeling dull around the edges. And don’t get me started on my horrifically dull skin and slightly haunted eyes. Even the dog was drooping – I thought he might actually have contracted Horroffice syndrome from me – oh the horror! So before things took a turn for the worse, off we went for some play. Which is why it’s been a little bit quiet chez Heena’s blog – sorry lovelies. And canny planner that I am, before we even headed off for our week of fun, I spent the Saturday before having my own personal theatre fest – a matinée showing of Richard III, a lovely little meal, wine and solo contemplation, then one of the best pieces of theatre I have ever seen – Medea at the National Theatre. It’s probably not the ideal way to do the whole work/life balance thing – gorging on glorious goodies for the mind, soul and body before and after wading through the boggy waters of office life, but it’s better than not enjoying any goodies at all, right? So I guess my plan for the next few weeks is to find a way to get more balance. I’m going to make sure it’s not all work and no play. I’m going to make time for play (there’s too much work to do to stop and head off on a treasure hunt for Time – I may as well create instead). In which case I’d better sign off so I can go and check out some more theatre listings and sort some doggy play dates!